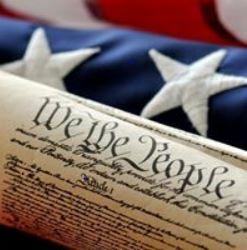 Patriotic – to cherish, maintain, and extend the institutions of American freedom, to foster true patriotism and love of country, and to aid in securing for mankind all the blessings of liberty. The DAR is a non-profit, non-political volunteer women’s service organization. DAR members volunteer millions of service hours annually in their local communities including supporting active duty military personnel and assisting veteran patients, awarding thousands of dollars in scholarships and financial aid each year to students, and supporting schools for underserved children with annual donations exceeding one million dollars. As of November 2015, members volunteered 1,522,096 hours year to date. As one of the most inclusive genealogical societies in the country, DAR boasts 180,000 active members in 3,000 chapters across the United States and internationally. Any woman 18 years or older-regardless of race, religion, or ethnic background-who can prove lineal descent from a patriot of the American Revolution, is eligible for membership. Encompassing an entire downtown block, DAR National Headquarters houses one of the nation’s premier genealogical libraries, one of the foremost collections of pre-industrial American decorative arts, Washington’s largest concert hall, and an extensive collection of early American manuscripts and imprints. Since its founding in 1890, DAR has admitted more than 950,000 members. The organization is exempt from Federal income taxes under the provisions of Section 501(c)(3) of the Internal Revenue Code, and receives no government funding.